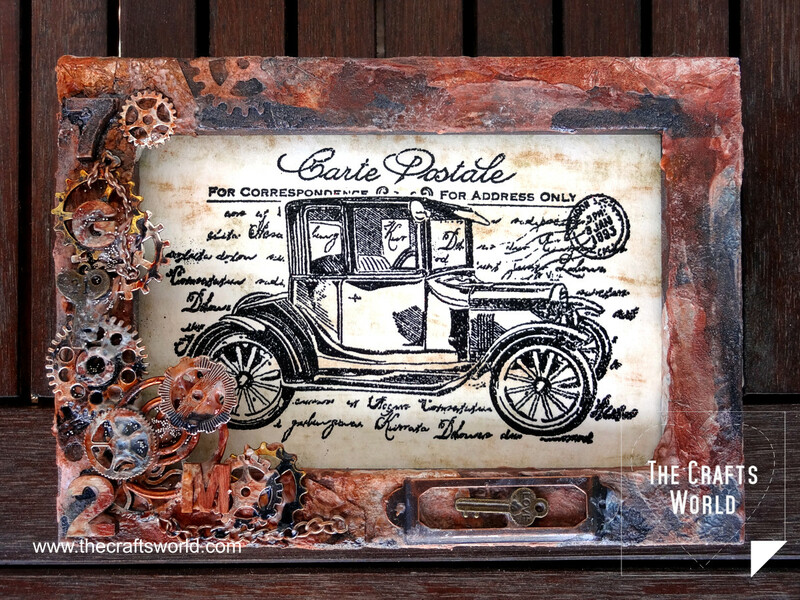 Photo frame decorated with gears and an old car card stamp. The photo frame is partially covered with aluminium foil and then with gel medium mixed with paints from the Tattered angels. Following that, gears and wire are glued on the left bottom side of the it and covered with rusty look paints. For this rusty finish a kit from Tattered angels was mainly used that gives the shades of rust . It perfectly covered the metallic elements placed on the photo frame, too. Inside it, a 4x6in card was placed featuring a card postal of an old car. 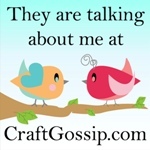 The car is a stamp from Viva and was embossed with black embossing powder.